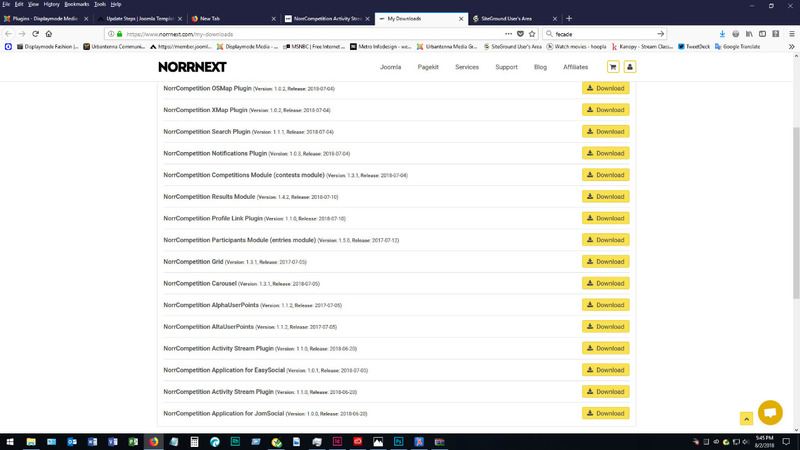 NorrCompetition Activity Stream Plugin Not updating in Admin area. My system is asking for an update for 1.0.0 to 1.1.0 - for the NorrCompetition Activity Stream Plugin. Looks like the ID# is not being retained eihter ..
Last edit: 8 months 3 weeks ago by Marcus Tremble. 1. The system asking to update 1.0.0 to 1.1.0. The .xml file need to be updated. The issue is confirmed. We will do it asap and upload a new version of the plugin. Thank you for reporting this issue! 2. You see 2 plugins on the downloads area because of both JomSocial and EasySocial add-ons use the same system plugin and you have a bundle pack which mean you got access to all NorrCompetition products. As the result, the system assigns access to all products including JomSocial&EasySocial apps and each of it has the same system plugin. Thus, this plugin displays twice a time. This is how the subscription software designed, so you just can download any of these duplicated plugins - it leads to the same file. Last edit: 8 months 3 weeks ago by Eugene. The Activity Stream plugin has been fixed. Feel free to download it from the repository. The actual package not updated. Still showing 1.0.0 . My system not showing update either. Plus, you need to rename the two plugins it the Download Area. 2 of them have the same names and version #'s, whats up with that? Last edit: 8 months 2 weeks ago by Marcus Tremble. Oh, yes, we uploaded the plugin in another folder by mistake. The plugin has been uploaded again. Please download it again. As I told you above, it is the same plugin. It happens because both JomSocial and EasySocial Apps use the same stream plugin. And since you have purchased a bundle pack, you get access to the same file twice. This is how the site is designed. We will not create a new plugin because it is universal and is used together with both Applications. 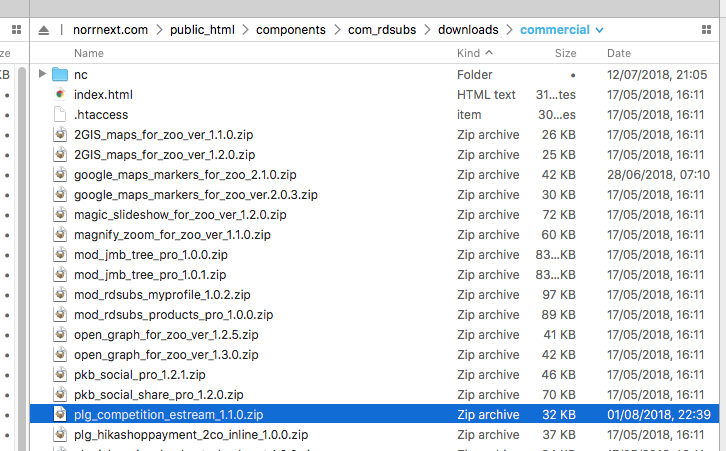 Just download any of Stream Plugin from the list - it is the same file. Ok. Do not hesitate to contact us in a case of further questions.